"Prince and Princess Michael of Kent are delighted to announce the engagement of their daughter Lady Gabriella Windsor to Mr Thomas Kingston. "The engagement took place in August; Mr Kingston proposed on the Isle of Sark." Lady Ella, 37, is "senior director at Branding Latin America. a brand-positioning platform that specialises in the region." A director of Devonport Capital, headquartered in Plymouth, Tom specializes in frontier market investment. Thomas Henry Robin Kingston was born at Evesham on June 22, 1978 at Evesham. He is the son of William. Martin Kingston and Jill Mary Bache. They were married on September 13, 1972 at Himbleton, Droitwich. Jill Kingston runs the Nadezhda Charitable Trust, which supports "a wide range of projects but with a particular emphasis on Zimbabwe, a country where there are significant needs appropriate to the Trusts objectives." Martin Kingston is also a trustee of the charity. Tom's father is a QC and one of the UK's top lawyers in Planning and the Environment. Mr. and Mrs. Kingston live at Kemble House in Kemble, near Circencester. The house was built in the 17th century. Lady Gabriella was born at St. Mary's, Lindo Wing, on April 23, 1981. At the time of her birth, she was 17th in line to the throne after her brother, Lord Frederick, who was born on April 6, 1979. 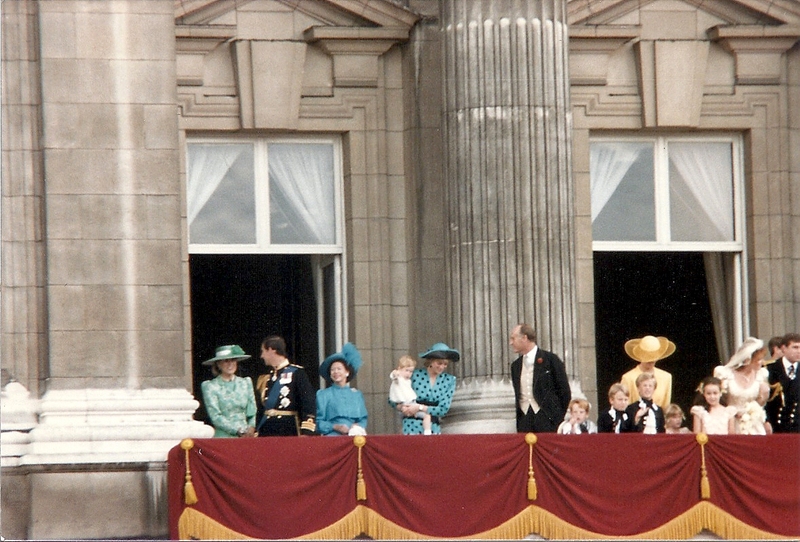 Her baptism took place at the Chapel Royal, St. James's Palace, on June 8, 1981. She was given the names Gabriella Marina Alexandra Ophelia and her godparents were the King of the Hellenes, Prince Mariano Hugo of Windisch-Graetz, Miss Marina Ogilvy, the Marchioness of Douro and Lady Elizabeth Shakerley. Her fourth Christian name was an acknowledgment of her date of birth, which was William Shakespeare's birthday. King Constantine II of the Hellenes is a second cousin of Prince Michael, as his late father King Paul, and Michael's mother, Marina, were first cousins. The Prince of Windisch-Graetz is married to Archduchess Sophie of Austria, whose mother, Countess Helen of Toerring-Jettenach, is a first cousin of Prince Michael. Her mother, Princess Elisabeth of Greece and Denmark, was the middle of the three daughters of Prince Nicholas of Greece and Denmark and Grand Duchess Helen Wladimirovna of Russia. Prince Mariano-Hugo also acted as a witness at the marriage of Lady Ella's first cousin, Lord Nicholas Windsor, when he married Paola Frankopan in 2006. Marina Ogilvy, now 52, is the younger daughter of Princess Alexandra of Kent and the late Hon. Sir. Angus Ogilvy. She is a first cousin of Lady Ella. The Marchioness of Douro (HRH Princess Antonia of Prussia) is a descendant of Queen Victoria. She married Lord Douro, eldest son of the 8th Duke of Wellington. He succeeded his father in 2014 as the 9th Duke of Wellington. Princess Antonia is now styled as Her Grace The Duchess of Wellington. Lady Elizabeth Shakerley is the daughter of the late Thomas, Viscount Anson, and Anne Bowes-Lyon, a niece of the late Queen Elizabeth, the Queen Mother. She is the sister of the late the 5th Earl of Lichfield (the photographer Patrick Lichfield) and was the second wife of the late Sir Geoffret Shakerley, BT, also a noted society photographer. Lady Elizabeth runs a very successful party planning business.